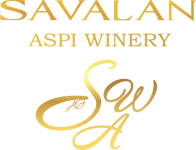 From June 12 to June 23 in Korea there took place the international wine competition “Korea Wine Challenge” (KWC) where Savalan Syrah Special Edition wine has won a bronze medal. Korea’s first international wine competition, the Korea Wine Challenge, is hosted by the most prestigious monthly wine magazine in Korea, «Wine Review» in 2005. Employing objective assessment to introduce trusted wines to the domestic wine market in Korea, KWC has been a driving force in the development of this growing market.